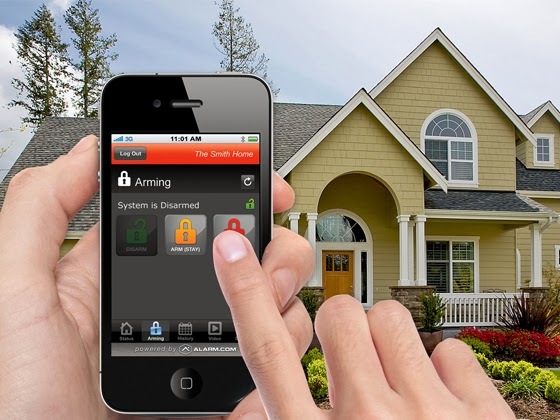 Security systems have gotten a lot smarter in the last few years. You can now use your smartphone to check the status of your system or turn it on or off from virtually anywhere in the world. Check that your kids got home safely with video monitoring. Turn the porch light on if you’re going to be coming home late with lighting controls. Remotely lock or unlock the doors. Save money on your energy bills by having your system turn the lights off and adjust the thermostat when no one is home. While you can choose to manually control lights, AC, and locks, the real benefit of all this automation is not having to wonder if you remembered to lock your doors or turn your alarm on. The system can remind you if you forget.